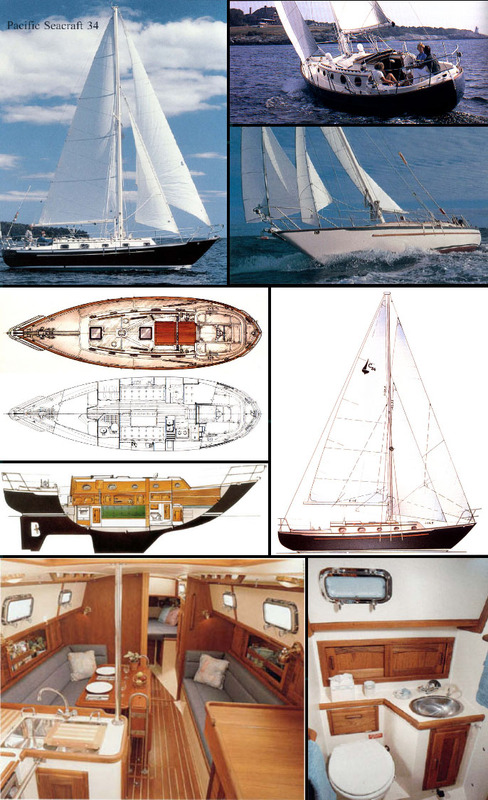 My sailboat, Breakaway, is a 1987 cutter-rigged Crealock 34 built by Pacific Seacraft. I am the 3rd owner. She was named Breakaway by the previous two owners. When I bought her I was looking to "breakaway for a while" so the name fit and I kept it. I don't have any good photos of Breakaway handy but here are some photos and plans from the manufacturer's PSC34 literature..